due to visa delays outside of our control, we must change the date of our ceremony & reception. we apologize profusely for any trouble this may cause our guests. please ignore all other date and venue information on this page. you or someone in your party should have already received an email with information and updates. if you have not received this email, please check your spam folder, and let us know, at equimby@gmail.com. This house is in a cul-de-sac! Parking is super limited! Please try to carpool, Lyft, Uber, and taxi when you can. The closest Metro stops are Van Dorn, Franconia/Springfield, and Merrifield. UberPool non-peak prices from these Metro stations are roughly $11. If you have to drive, there is street parking, but it may require a long walk up or down a hill back to your car. Please dress comfortably in summer business casual! The backyard is mostly grass and gravel! We recommend wearing flat shoes or low wedges, for your comfort and safety. To reach the backyard, you must climb approximately 20 concrete steps or walk up a short hill with a 10-20% grade. If this is difficult or impossible for you, please let us know. Dinner will be served buffet-style. There will be water, soda, beer, and wine available to drink. Please make sure to note any dietary restrictions on your RSVP. Our ceremony will begin at 4:30pm and last 15-20 minutes. It is an unplugged ceremony. This is incredibly important to us. Please leave all phones, iPads, cameras, and other technology in your pockets and bags for the duration of the ceremony so that you can be present with us in the moment. You are welcome to bring them back out for the reception! Yes, the wedding is on a Sunday. We are planning this wedding while crossing our fingers that Stef’s K1 Visa is approved by May. There is always a chance that it won’t be, and that we’ll have to change the date of this shindig. If that ends up being the case, we will contact all guests via email. Please, please make sure that at least one person in your party provides us with a valid email address. Your name must be entered as it appears on your invitation. Please feel free to message Ella if you’re having trouble! Unfortunately, due to venue and budget restrictions, we can only welcome those guests who are specifically named on your invitation. We hope you can join us! AirBNB is a great option for groups, or anyone who prefers to stay in amore homey atmosphere. Especially good for people staying more than the weekend, or who want access to a kitchen to cook their own food! We've stayed at AirBnB's in Philadelphia, Pittsburgh, California and more, and always been happy with the experience! Click the photo for a shortlist of properties that we think you might like. Click here to use our referral code for $40 off your first booking! 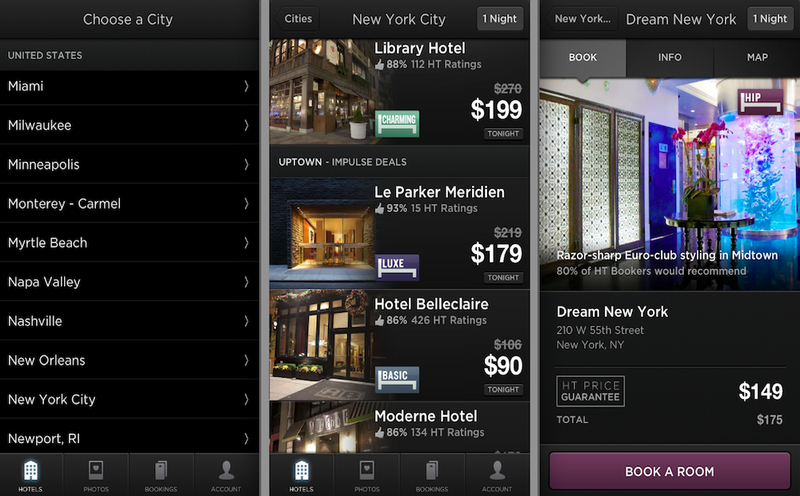 HotelTonight is a mobile-only application that allows you to book last-minute, unsold hotel rooms at a fraction of the cost. We've personally used HotelTonight in Washington, DC, Melbourne, Philadelphia and more, and always been satisfied by the quality of the hotels and the discounted prices. Some cities are only available up to one week in advance, some cities are available two to three weeks in advance, but it's a great choice for people willing to take a chance on quality (or even luxurious) accommodation at a steeply discounted rate. Use our referral code "ELQUIMBY" for $25 off your first booking! Visit the Virginia tourism board website to see other accommodation options in Fairfax County! ...have a short registry with Zola.com. Click here to be taken to it! … & your presence on our big day will be a gift to us!